Dancing Bear is a celebration and exploration of the joys and struggles of faith, sexuality and gender identity. 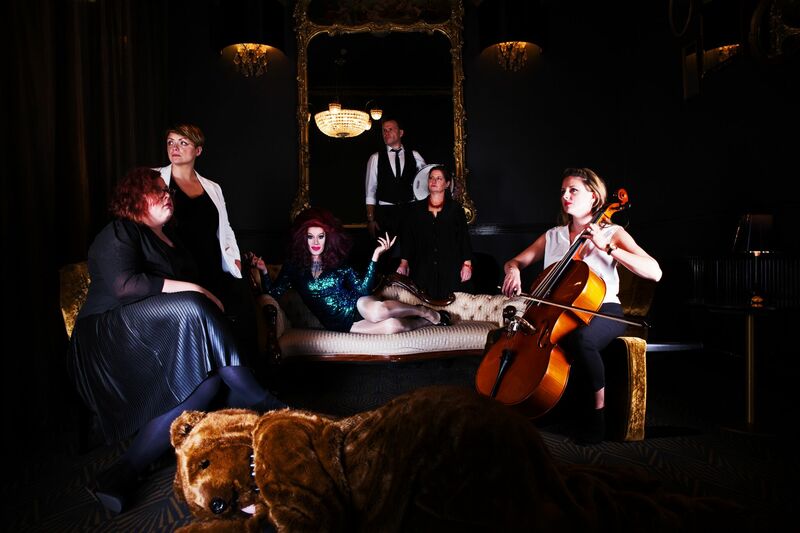 Fusing live music, drag cabaret, dance, and storytelling performed by a multi-talented LGBTQ+ cast led by Owen Farrow, AKA Divina De Campo – soon to be one of the 100 judges in BBC One’s new prime-time Saturday Night music show All Together Now – Dancing Bear is a night out like no other. Bursting with compassion, humour, heartfelt honesty and personal testimonies, this timely show deftly flips between catchy pop tunes and dramatic storytelling to create a visual feast for the heart, the head and the soul. As gender identity support service calls have risen six-fold over the last six years, gender identity issues being a topic which is increasingly present in the news and Stonewall reporting recently that nearly a half of trans young people under 26 have attempted suicide – this is an essential night out which both entertains and informs. Regardless of faith, gender or sexuality, this critical and must-see show is full of love for all and is ultimately underpinned with an excellent musical score. 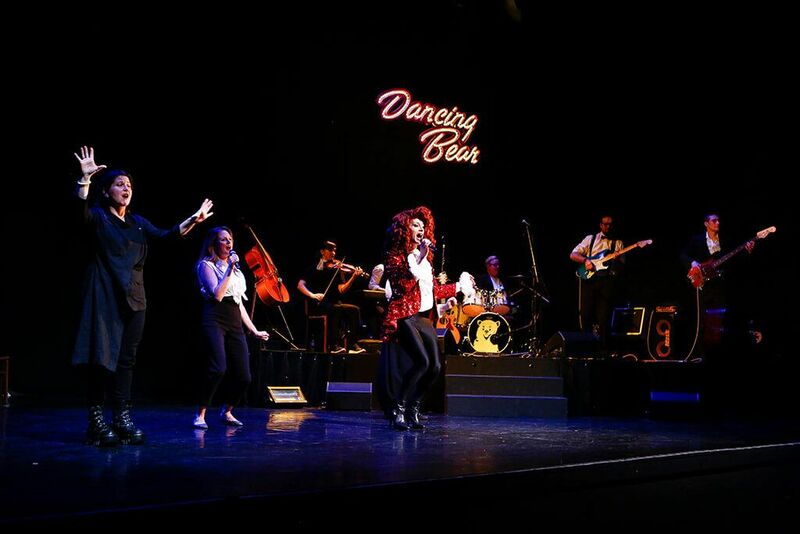 Dancing Bear is also a BSL interpreted show with audio description integrated fully into its heart and its narrative – where inclusivity resigns supreme for all who watch. 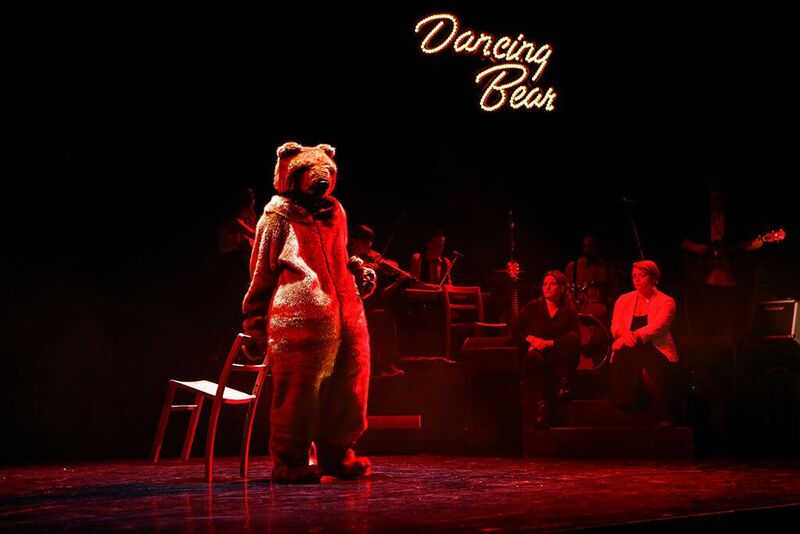 Dancing Bear initially previewed at Contact (Manchester) in February 2016 as part of its annual Queer Contact Festival as well as at a sell-out performance at West Yorkshire Playhouse (Leeds) as part of LGBT History Month. What I’m trying to do with this show is open up positive conversations between Queer and Christian communities: communities that have a history of not necessarily getting along. It’s a vital subject. I think it is really important as an artist that I be bold and heartfelt with the work I make, educating, inspiring and entertaining an audience as well as challenging them or moving them in some way. There are not many companies of our size making work at this scale explicitly about Queerness, Sexuality and Gender Identity, and even fewer that are trying to integrate BSL so it’s an integral part of a theatre show. I am very excited about what we are trying to achieve and about sharing it with our Manchester audiences. Please note this show is for over 16s. Both shows are BSL interpreted, and audio described.